A Step By Step Strategies Guide On How To Excel At FOREX Trading Has Finally Arrived!Strategies on How to Excel at FOREX Trading When it comes to generating the maximum amount of return for the minimal amount of investment, the forex market is always going to be the best choice. The amount of leverage it is possible to achieve in the forex market simply can’t be beaten elsewhere. That doesn’t mean it is a sure thing, however, which is why it is extremely important to be aware of the best forex trading strategies as well as how to utilize them to increase your chances of trading success as much as possible. If you are familiar with the basics of forex trading and are looking for a way to take your profits to the next level, then FOREX: Strategies on How to Excel at FOREX Trading is the book you have been waiting for.Inside you will find advanced strategies for trading based on price action, technical indicators of all types, breakouts and more. You will also learn how to utilize the tools you are likely already familiar with in new and increasingly effective ways. No matter the approach the approach you take to forex trading, you will find something here to increases your successful trade percentage here.This book will provide you will all the tools you need to stop second-guessing yourself when it comes to determining if a potential trade is going to take you to where you need to be. It doesn’t matter what your preferred level of risk is, where your current skill level is at or what length of time you prefer to trade, FOREX: Strategies on How to Excel at FOREX Trading has you covered.Inside you will find	How to use the 20 EMA indicator in new ways to form a price action strategy that is particularly adept at foreseeing breakouts in the Asian session. The best way to take advantage of Bollinger bands when they are at their most elastic	The importance of the stochastic indicator and how to use a pair of them to reliably find breakouts you might otherwise miss. Mistakes that many people make when it comes to utilizing Fibonacci numbers to determine entry points and how to avoid them. Two breakout trading strategies that can be utilized as soon as a currency price leaves a range locked state. Everything you ever wanted to know about fractals in the forex charts including how to find them and how to put them to work for you. And more…This is the only strategies guide on FOREX trading you will ever need! When it comes to generating the maximum amount of return for the minimal amount of investment, the forex market is always going to be the best choice. The amount of leverage it is possible to achieve in the forex market simply can’t be beaten elsewhere. That doesn’t mean it is a sure thing, however, which is why it is extremely important to be aware of the best forex trading strategies as well as how to utilize them to increase your chances of trading success as much as possible. If you are familiar with the basics of forex trading and are looking for a way to take your profits to the next level, then FOREX: Strategies on How to Excel at FOREX Trading is the book you have been waiting for. Inside you will find advanced strategies for trading based on price action, technical indicators of all types, breakouts and more. You will also learn how to utilize the tools you are likely already familiar with in new and increasingly effective ways. No matter the approach the approach you take to forex trading, you will find something here to increases your successful trade percentage here. This book will provide you will all the tools you need to stop second-guessing yourself when it comes to determining if a potential trade is going to take you to where you need to be. It doesn’t matter what your preferred level of risk is, where your current skill level is at or what length of time you prefer to trade, FOREX: Strategies on How to Excel at FOREX Trading has you covered. So, what are you waiting for? Stop skulking around the edges of the forex market with trades that do little more than break even. Make a decision to take control of your financial future and buy this book today! How to use the 20 EMA indicator in new ways to form a price action strategy that is particularly adept at foreseeing breakouts in the Asian session. The importance of the stochastic indicator and how to use a pair of them to reliably find breakouts you might otherwise miss. Mistakes that many people make when it comes to utilizing Fibonacci numbers to determine entry points and how to avoid them. Two breakout trading strategies that can be utilized as soon as a currency price leaves a range locked state. Everything you ever wanted to know about fractals in the forex charts including how to find them and how to put them to work for you. 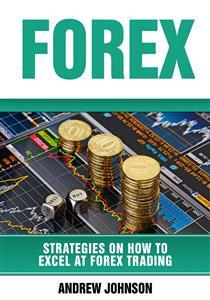 Congratulations on downloading FOREX: Strategies on How to Excel at FOREX Trading and thank you for doing so. When it comes to generating the maximum amount of return for the minimal amount of investment, the forex market is always going to be the best choice. The amount of leverage it is possible to achieve in the forex market simply can’t be beaten elsewhere. That doesn’t mean it is a sure thing, however, which is why it is extremely important to be aware of the best forex trading strategies as well as how to utilize them to increase your chances of trading success as much as possible. To that end, the following chapters will discuss a wide variety of strategies as well as how to put them into play in order to ensure your odds of success are as high as possible. First, you will learn all about the Bladerunner trading strategy as well as its reversal and when to use each in order to obtain the maximum profit possible. You will then learn how to use Bollinger bands in a new way via the Bollinger Band Bounce Trade. From there you will learn about the importance of the Stochastic Oscillator indicator and how to use a pair of them in the Dual Stochastic strategy to choose correct trades with minimal outside help. Next, you will learn to utilize Fibonacci numbers in new ways via the Fibonacci levels strategy, the Fibonacci extension strategy, and the overlapping Fibonacci strategy. You will then learn to trade breakouts in new ways through pop and stop trades and stop and drop trades. Finally, you will learn how to spot fractals in the forex charts and how they can improve your ability to trade via channeling or consolidation.